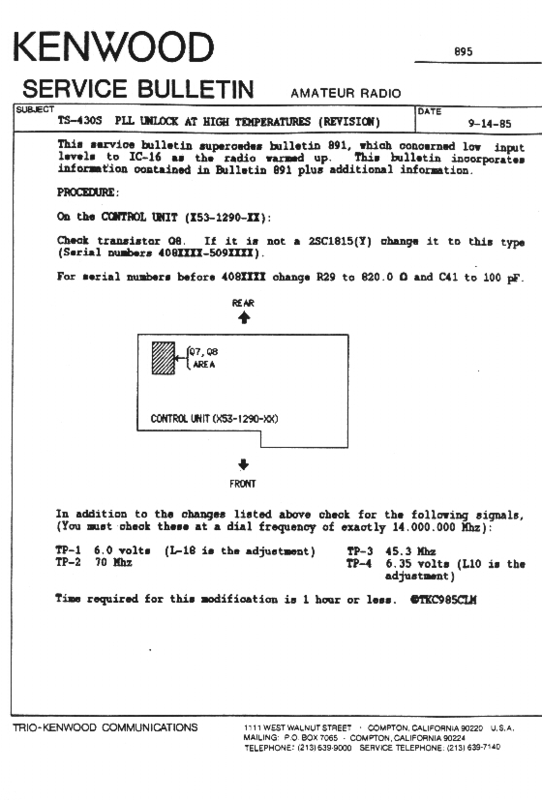 This service bulletin supercedes bulletin 891, which concerned low input level to IC-16 as the radio warmed up. This bulletin incorporates information contained in Bulletin 891 plus additional information. Check transistor Q8. If it is not a 2SC1815Y change it to this type (Serial numbers 408XXXX-509XXXX). For serial numbers before 408XXXX change R29 to 820 ohms and C41 to 100 pF. Time required for this modification is 1 hour or less.